Captain Robert Scott’s legacy will forever be an irreconcilable contradiction. At times, he has been venerated as an icon of Edwardian masculinity: a stoical, humble pioneer whose Antarctic expeditions discovered the Polar Plateau and made many significant contributions to scientific knowledge. Elsewhere, he is portrayed as a charlatan whose bungling incompetence cost the lives of six men, including his own, in 1912 on the tragic Terra Nova expedition – a voyage whose tragic end was compounded by the fact Scott was beaten to the South Pole by the technically superior Norwegian explorer Roald Amundsen. It’s my view, though, that neither ‘Scott the tragic bungler’ nor ‘Scott the imperial martyr’ quite explain why he endures as a cultural icon over a century after his death. 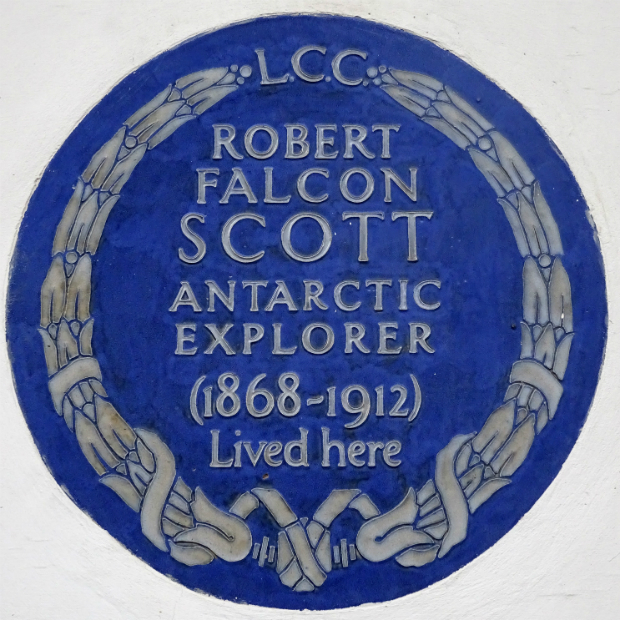 The key to Scott’s legacy lies not in what happened in an Antarctic blizzard in 1912, but in what happened to Britain in the 150 years since his birth. Born in 1868, Scott shares a birth year with one of the most iconic buildings in British politics: the Foreign and Commonwealth Office in Westminster. The coincidence is significant; Scott was born just as the biggest and most impressive monument to British imperial power opened its doors to (among others) the Foreign Office and the India Office. By the time Scott was building his reputation as a geographer and explorer in the early twentieth century, the ‘Scramble for Africa’ and continuing naval dominance left Britain at the height of its economic and military dominance; at the same time, the gruesome Boer War and Joseph Chamberlain’s debates over free trade symbolised the moral and political ambiguity of the imperial project. What Scott and other heroes of Empire before him provided were straightforward tales of bravery and fortitude through which ordinary Britons could make sense of Britain’s superpower status. 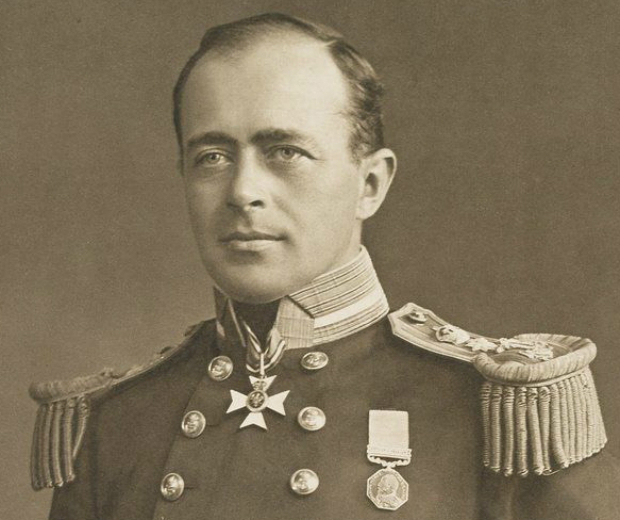 Already famous through his successful Discovery mission (1901-04), Scott’s Terra Nova expedition, which began in 1910, promised to be his most triumphant yet. He set out with the goal of being the first person in history to reach the South Pole. The story, however, did not play out as planned: using better navigation and much better equipment, Amundsen beat Scott to the pole by 3 days. Devastated and defeated, Scott led his five companions back towards their base camp, only to run into uniquely adverse weather conditions and freeze to death on the way. The initial reaction to Scott’s death in Britain was an overwhelming display of public grief – comparable in many ways to the mourning of Princess Diana in the 1990s. The press obituaries were hagiographic; British schools and churches across the country organised special commemorations; and King George V himself kneeled to pray at Scott’s funeral in St. Paul’s Cathedral. Like General Gordon in 1885, whose defeat at Khartoum made him a national hero, Scott’s death chimed with a popular conception of peculiarly British masculinity, in which emotional fortitude and brave acceptance of fate were venerated above mere victory. Scott’s blue plaque, erected outside his home in Chelsea in 1935 by London County Council. Conversely, when Amundsen attended a dinner at the Royal Geographical Society in 1912, the president and future Foreign Secretary, Lord Curzon, raised a toast – not to Amundsen, but to his dogs. While Scott’s men had dragged their own sleds across the ice, the Norwegian team had relied on dog teams to carry them. This was considered to be bad conduct, even cheating – a cardinal sin in Edwardian aristocratic culture. Sixty years later, however, Scott’s reputation suddenly came under threat. With the Empire gone and unable to arrest its terminal economic decline, Britain was psychologically less inclined to admire its most famous imperial failure. In 1979, as Margaret Thatcher was on the verge of power, a Marxist writer called Roland Huntford published The Last Place on Earth: a dual biography that pointed out the serious flaws in Scott’s planning, and the technological and strategic insight that ensured Amundsen reached the pole first. Almost overnight, the pair’s reputations reversed. Huntford’s image of Amundsen as a rugged individualist chimed well in 1980s Britain, whereas his caricature of the bungling Scott, according to historian Max Jones, became ‘the new orthodoxy’, and attacking him was ‘something of a national pastime since Huntford’s intervention’. Lord Curzon and Roland Huntford both had ideological drums to beat, but twenty-first century historians have attempted to rescue Scott’s reputation without resorting to Victorian-style hagiography. Authors like Jones, David Crane, Susan Solomon and Stephanie Barczewski have added complexity to Scott’s image, adding historical and cultural context, and new discoveries about the Terra Nova expedition have exculpated Scott from several of Huntford’s accusations, as well as highlighting the significance of his scientific discoveries. Fantastic blog! Would be good to mention Ranulph Fiennes' brilliant book about Scott, informed by his own polar expeditions, which strongly makes the case for the freak weather conditions that year doing for Scott and his men more than anything else. Patrick - thanks for your kind words. While Fiennes' book is a fantastic read, I tend to categorise it as a little tendentious in favour of Scott, rather than taking a more balanced approach as do the authors I cite. He is, after all, a Scott fanatic himself!